Copy of your International Passport or Valuable Drivers License.....Attached? 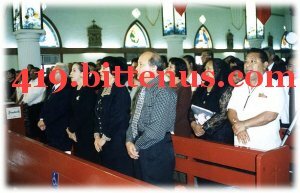 And for your information that this power of attorney also stated to us that you suffered and died of a throat cancer. so you here by advice to confirm the truth of this matter to us within the next 24hrs if you are still alive, by contacting theCOURIER SERVICE COMPANY torelease deliver yourfund to you causeour duty is to ensure that all outstanding foreign/parcel going in and out of the country are beendeliver and directed to their various destinations. So you are here by advice to call or email this office immediately for clarifications of this matter as we in 24hrs service to give you the necessary guidelines on how to ensure that your parcel is been deliver to you with out any further delay. Note that any further delay from your side could be dangerous, and we would not be held responsible for parcel. 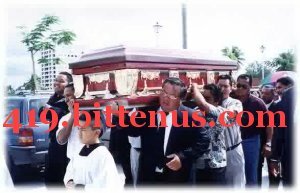 Below is the burial pictures brought in confirmation that you are dead.